To Dive Silfra is to dive between the Eurasian and North American continents. Diving Silfra is said to be a once in a life time experience. The Silfra Rift is the tectonic boundary between the Eurasian and North American plates. You can literally touch both continental plates as you see a diver doing in the following video. The waters of Lake Thingvellir has some of the cleanest water in the world due to glacial runoff and a filtration through Iceland volcanic underground. Therefore, the visibility is among the finest in the world in which to experience the magnificent underwater landscapes. The water is said to be so clear in Silfra that it is like air and diving in it is like literally flying. The following video documents what is like as well as the dive equipment needed to dive Silfra. Watch the following short video describing the Silfra Dive experience. In the following video Jonathan Bird takes us on a tour of Iceland and the geology that contributes to producing the amazingly clear water that makes this dive site so special. He also does a great job of detailing the experience of diving Silfra. 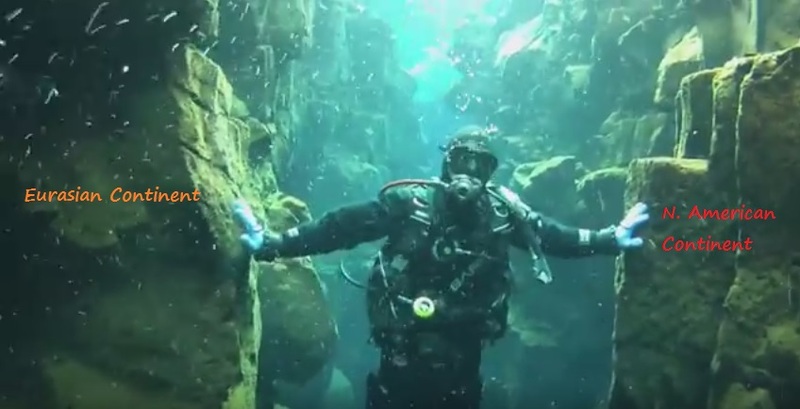 Watch Jonathan Bird’s Silfra diving experience in the video below. Please could anyone confirm? Having travelled to Iceland to dive Silfra (did not dive due to weather!) We went on a tour with a Geologist who informed us that the Silfra dive is NOT between the two plates but is actually just a crack in the Eurasian plate. Stating the American plate is at least 7 kilometres away? Still looks like an amazing dive though. Your geologist friend is correct, Silfra is clever marketing. Silfra is one of many small fissures between the tectonic plates. When you dive Silfra you are more on the americas than eurasian plate and the gap between the plates is 7km at that point of the mid atlantic ridge. What is true for Silfra is the visibilty, it is impressive, up to and beyond 100m.